Water is typically considered to rank as the number one necessity of life since we can survive without food for days but not without water. 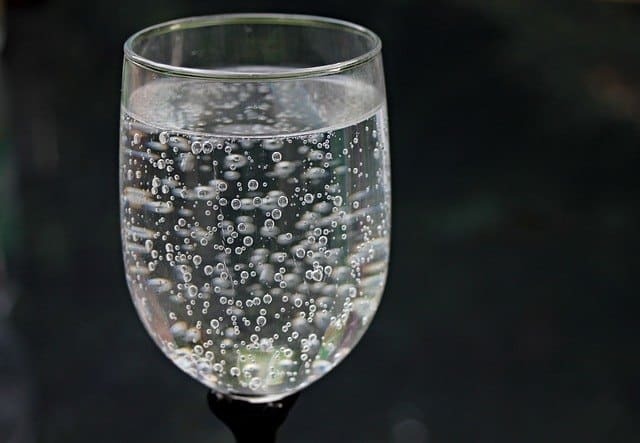 With that being said, it is generally recommended that we drink atleast or about eight glasses of water each day. 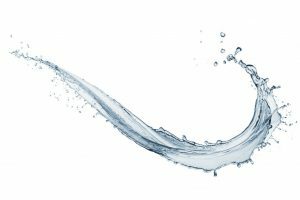 Of course, it is also essential that the water we drink is safe for consumption. 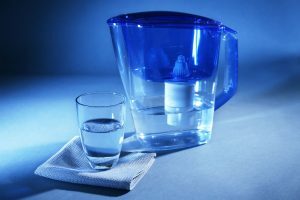 We typically always have safe drinking water at home but what about when we are traveling or camping where it’s near impossible to be certain of the water quality? 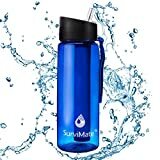 Best Purification suggest its only good common sense to bring the best water filter bottle you can find along with you on your travels. 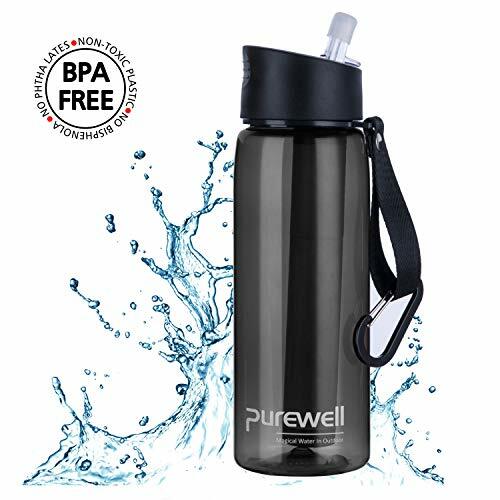 A quality water filter bottle will ensure that the water you are drinking is free of bacteria and other harmful contents that could possibly put a big damper on your trip. 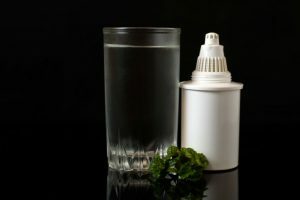 So, if you are searching for a good quality water filter bottle, we have rounded up three products below for you to check out. LifeStraw Go is a water bottle made of strong, phthalate and BPA-free plastic with a replaceable, two-stage filtration system. It also features a carbon capsule that helps get rid of odor, chlorine and unpleasant taste. 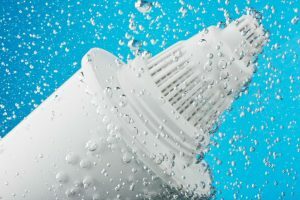 Its filter can clean up to 1000 liters of water before you need to replace it. In addition, it is capable of removing 99 percent of waterborne bacteria such as Salmonella sp. and E. coli, as well as waterborne protozoa such as Cryptosporidium sp. and Giardia sp. 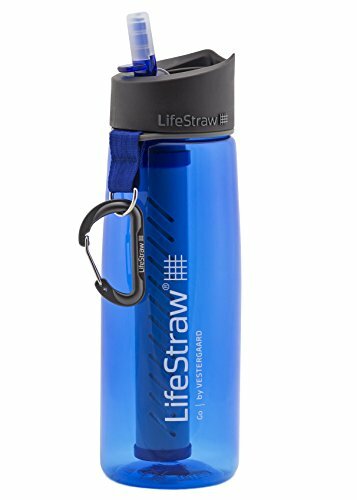 LifeStraw Go water bottle comes in an assortment of different colors such as, blue, green, grey, pink, purple, and a special Red Cross edition. It weighs about 5.9 ounces and has a size of 9.25 inches (length) and 3.12 inches (diameter). Likewise, this reusable water bottle has a 22-ounce capacity. In addition, it is equipped with a spill-proof lid with a built-in compass, as well as a reusable food-grade silicone straw. Upon purchase, you will also get a strap and a carabiner. The filter can be easily changed on a regular basis. An earth-friendly alternative to single-use water bottles. The company gives a year supply of clean water to a child in Africa for every water filter sold. Sipping water from its straw may be more difficult than sucking it from a bottle. LEAK-PROOF: The purified water bottle is BPA FREE. Leak proof lid with mouthpiece can be folded into the cap, which increases convenience and cleanliness. WILDERNESS SURVIVAL:This versatile water bottle not only helps providing healthy, drinkable water in harsh outdoor conditions,but also will help you to find direction using the built-in compass on the top.it is great for travel, backpacking, camping and emergency kits. APPLICATION OCCASION: The reusable water perk can effectively turn lakes, rivers, streams into drinking water and it's perfect for outdoor hiking, camping, hunting, travel and emergency preparedness. 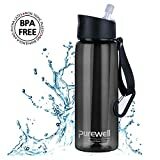 The Purewell Personal Water Filter Bottle has a 22-ounce capacity and has a listed weight of 190 grams and length of 24 centimeters. It is constructed using materials that are free of BPA and other harmful chemicals. 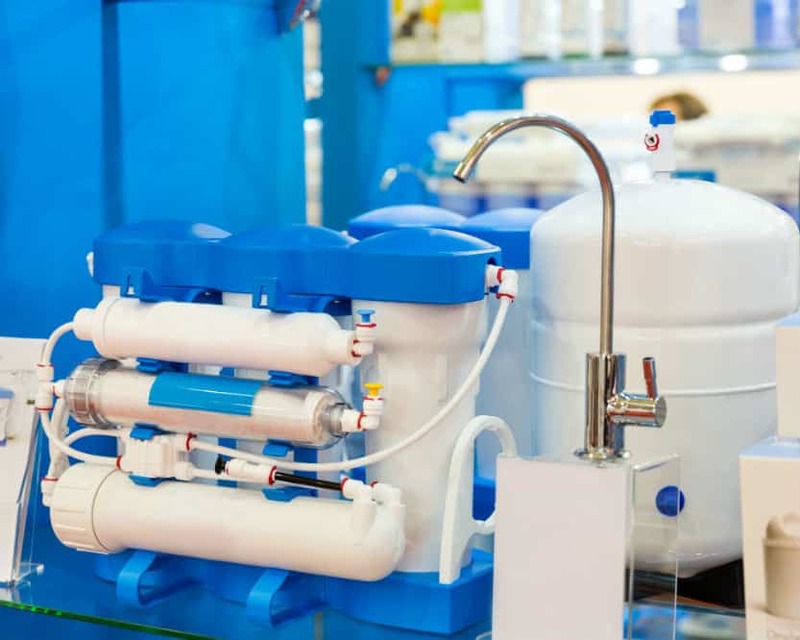 It has a replaceable filter, and it is capable of cleaning up to 1500 liters of water. It effectively removes 99.9 percent of waterborne protozoans and bacteria, as well as, chlorine and heavy metals. To effectively do such, its 0.01-micron filtration system contains antibacterial beads, activated carbon, PP cotton, and hollow fiber UF membrane. It also features a spill-proof lid and a built-in straw for your convenience. In addition, the product is integrated with a strap and straw. Likewise, it comes with a paracord bracelet that has a length of 26.5cm and weight capacity of 550 pounds. Amazingly, a fire starter is also attached to the bracelet. Its manufacturer provides customer service. The filter can be changed regularly. Sipping water from the straw can be difficult. 【Advanced Filtration System 】: Survimate filtered bottles have 4 advanced high-performance filters installed, they are: Medical Grade Hollow Fiber UF Membrane, Coconut Shell Activated Carbon, Beads and Medical Grade PP Cotton. 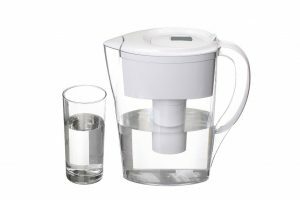 【Instant Fresh Water】：Just fill up the bottle and drink. Nothing could be simpler - no pumps or hoses, no squeezing, no batteries or bulbs and absolutely no chemicals! Only sip 5 to 8 times to get clean water. SurviMate Water Filter Bottle is made of materials that are free of BPA and other harmful chemicals. It features a two-stage water filtration system that is constructed using coconut-shell carbon, antibacterial beads, and PP cotton. That is the reason why this product can remove impurities such as chlorine, bacteria, and protozoa. In addition, its filter can purify up to 1500 liters of water before you need to replace it. This water bottle has a capacity of 650 milliliters, a weight of 190 grams, and a size dimension of 3.1 x 3.1 x 9.4 inches. 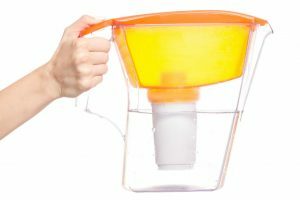 It also features a built-in straw and a leak-proof lid that has a food-grade rubber sealing. A strap is also included as well as a D-ring that can be used to attach the bottle to your belt, pants, or bag. An eco-friendly alternative to single-use bottles. The best water filter bottle among the three products mentioned when it comes to the number of colors available is the LifeStraw Go Water Filter Bottle. This is quite important especially for those who want to be able to choose a color according to their style. Nevertheless, all three water bottles are equally good in purifying water so that it’s safe to drink. 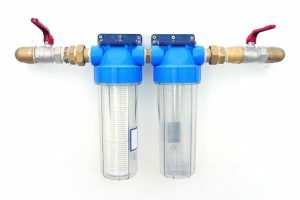 A major plus is all of their filters will take a while before you need to replace them, so they are very cost-effective. Aside from hiking and camping, these water bottles are going to be very useful during survival situations because you won’t need to worry about getting sick from the available water you would be drinking otherwise. Also, these water bottles are awesome choices if you are trying to reduce your waste because they are all reusable including their straws.